Combining the first one, May 1st, with the last weekend in April, plus taking Monday off, I headed to Gdańsk in Poland. I was sold on Gdańsk because it’s home to the Fahrenheit Memorial. 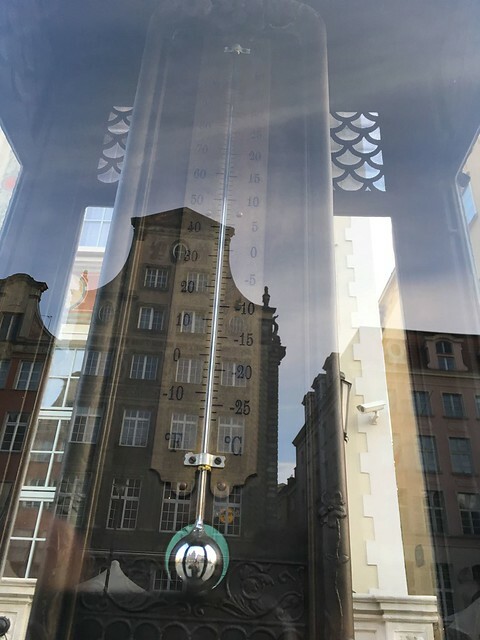 Naturally, it became my first stop, providing me a place in the picturesque heart of Gdańsk to see the temperature in Fahrenheit. And Celcius. Saturday morning, I headed to Costa Coffee – a chain I know well from the United Kingdom. It was if I was in a Costa in the heart of London: all the employees were Polish. After my morning coffee, I Übered to Westerplatte, which is where World War II started. Germany’s first attack was on the Polish fort (err: Military Transit Depot), which held out for a remarkably long time. 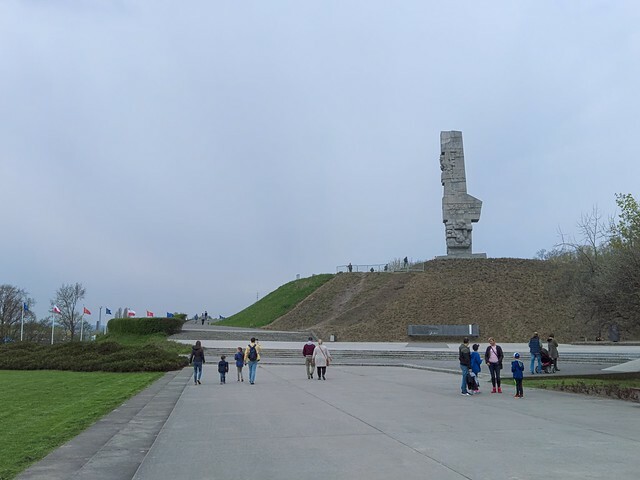 I spent about two hours wandering the grounds – it’s a fascinating place, with the ruins of bunkers, buildings, and a large memorial that honors the memory of Westerplatte. 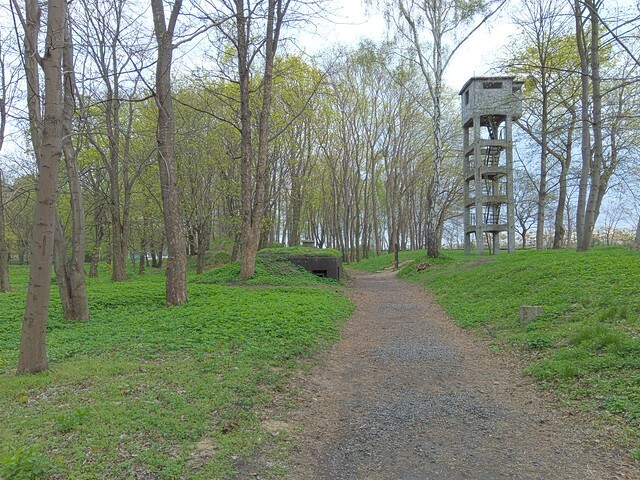 Of course, it is hard to transport one’s self back in time to imagine what it was like to defend this tiny piece of land from the invading Germans. 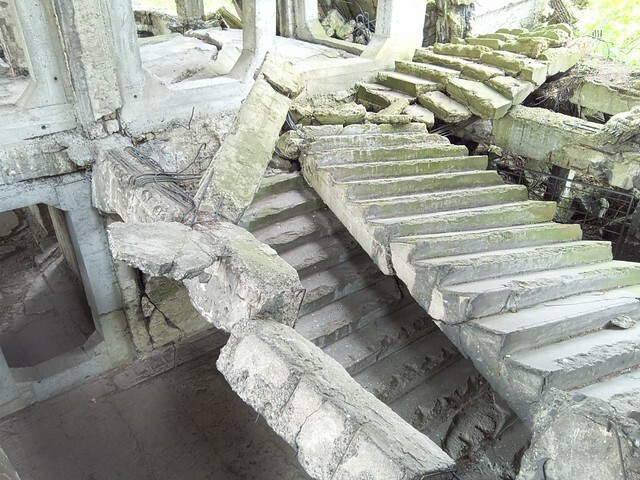 Given the communist years where the government simultaneously wished to forget and remember the soldiers at Westerplatte, the ruins are both enough and not enough. I also glanced at their (then new) temporary exhibition, which had signs that I could not read for two reasons: small type on a sign posted high up and lights positioned incorrectly over the reflective surface. It was, to be blunt, a relief to leave the ESC. Sunday started the same way as Saturday: Costa Coffee. Thereafter I headed to the Museum of the Second World War. I won’t spend too much time on this museum. From my personal perspective, it was nothing new – other than the fact that it was from the Polish perspective. Having read a lot of history as a kid, living in Germany for over a decade, and having visited more than my fair share of World War II sites, there was nothing excitingly new presented to me at the Museum of the Second World War. Other than, of course, the Polish perspective – which was surprisingly muted. One thing that did surprise me about the museum is that it is in Polish and English. I would have expected it to be in German as well, if anything to make sure that the neighboring nation, with its millions of potential tourists, could show up and learn about what awful people they were (are?) in their own language. In that sense, the Polish perspective was hugely muted. Really, the only time I became annoying with the Polish perspective was toward the end of the museum, when it talked about how Poland was betrayed by the western Allies, left to the control of the Soviet Union, meaning that when the war was over, it wasn’t actually over, because the Polish people then had to suffer through communism. I’ll agree to that point: communism sucked. But to stick this discussion into a museum about World War II is to jam too much into the museum. The European Solidarity Center is the place for that discussion. The rest of Sunday and all of Monday were devoted to the beach: I took the tram (well, substitute bus service) out to the end of the line and wandered down the beach until I found a quiet spot to lay out my towel and read my book. I was reading You Gotta Have Wa, a charming book about baseball in Japan, which ends up being about far more than just baseball, but about the Japanese and the way they live. Tuesday I had a quiet morning – breakfast at a café, a wander through the city, and then I boarded a bus back to the airport and planes back to Berlin. 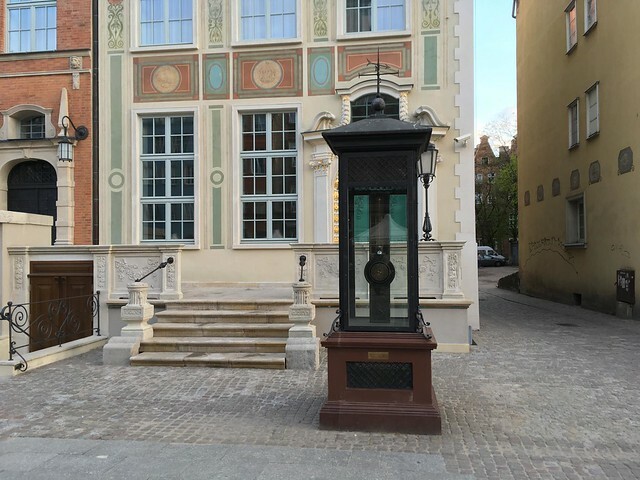 Gdańsk is worth visiting, but only once. The WW2 museum looks brand new. 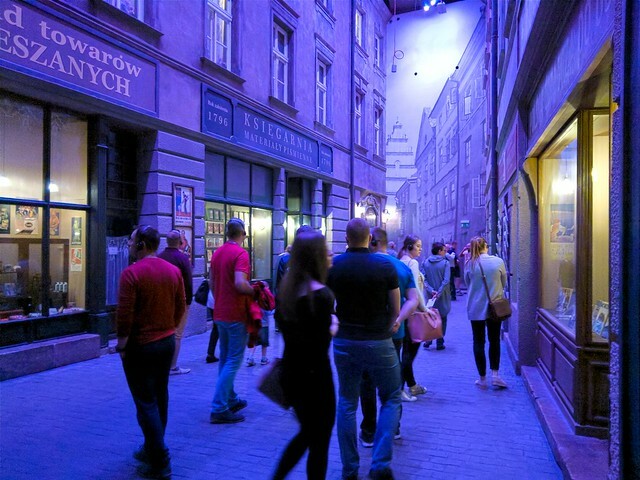 Where is it in relation to Gdansk city centre? If you get a chance sometime, the Wolfschanze is a few hours east of Gdansk. Fascinating place. 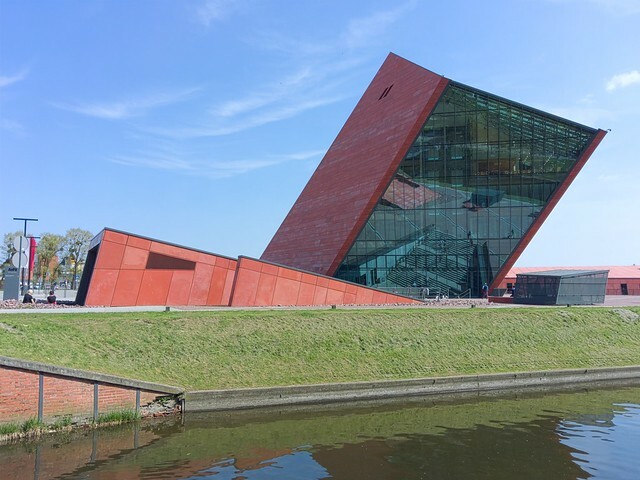 The WW2 museum opened in 2017, so it is quite new. It’s just north (and a tiny smidgen east) of the historic core. Sounds like an interesting little weekend. I really like the look of the WWII museum. 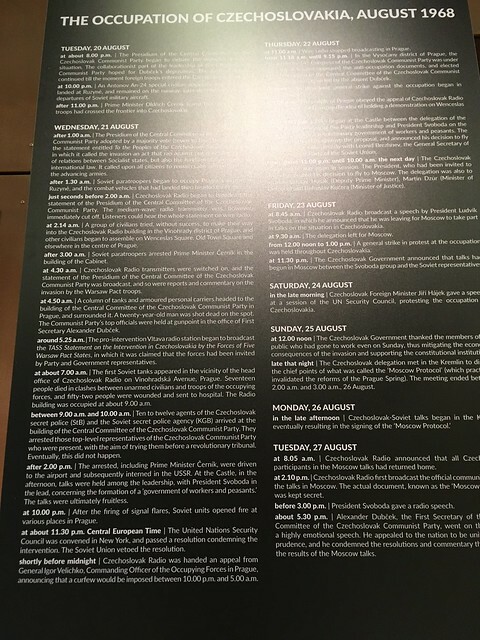 So you know: Due to the new regime there were changes made in those museums.